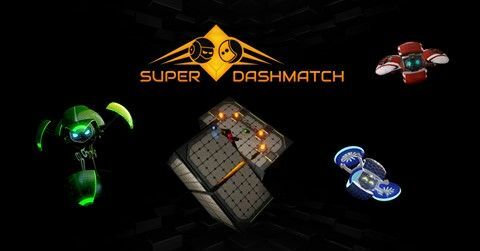 Super Dashmatch! - You control a fighting orb which you can customize in the character selection. Select an Arena and join the battle! Sometimes the Arena can be a more challenging enemy than your opponents, so always keep an eye on the changing Arena and inprove your skills to perform the craziest moves! Additionally, you can get PowerUps to make the battle even more epic! Do you have the skill to beat your friends or even the devs? Can you stand against your friends? Step 1 / 3 - Please enter your e-mail address to request one or more press copies of Super Dashmatch and press the next button to continue.